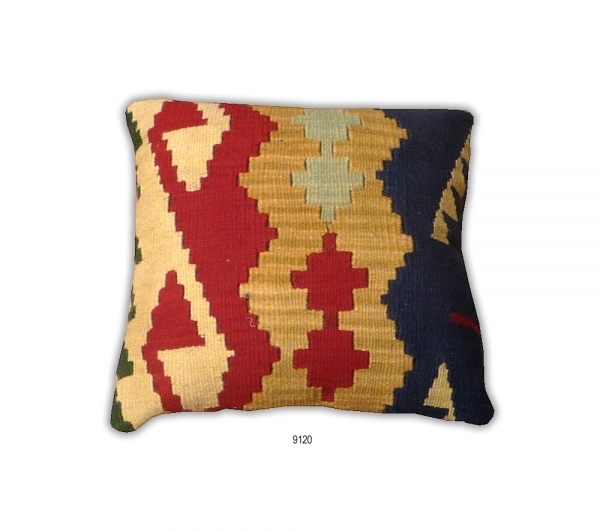 Great Quality Hand Woven Antique Anatolian Kilim Cushion. 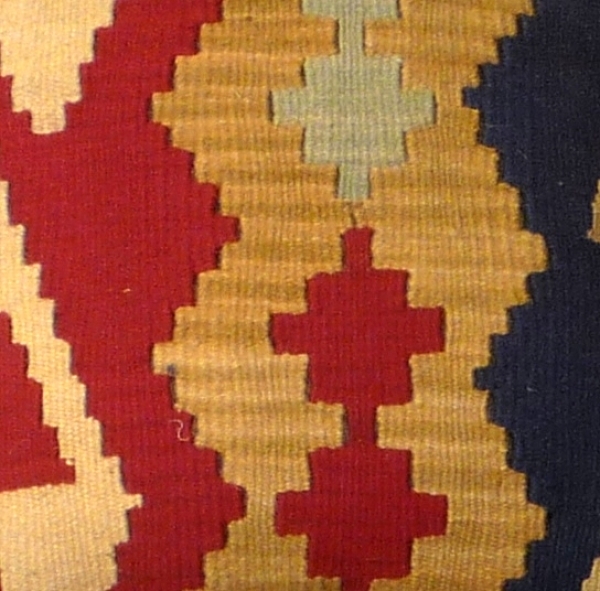 The Cushions are often salvaged from old Anatolian kilim, so the pattern may be cut in unusual and interesting ways. The backing is made with cotton fabric with a zip in the middle hidden with a flap. Pad included. Please feel free to contact us by phone or email to answer any queries you may have, or to arrange a viewing of this product at our Chester showroom.